PhD scholarship avaliable, details can be found in my personal website or the attached file at the bottom of this webpage. A number of projects leading to M.Phil. 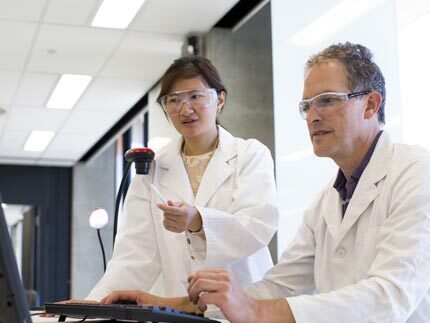 or Ph.D. are available in the field of Structural Health Monitoring. 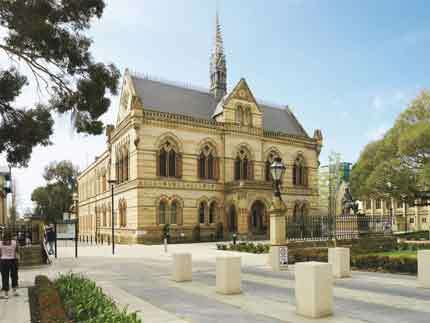 The Unviersity of Adelaide provides a number of scholarships for postgraduate students. 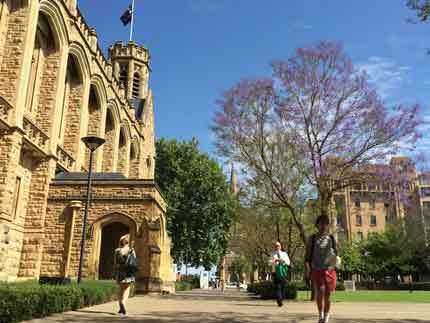 Details of available scholarships can be found at Postgraduate Scholarships page. 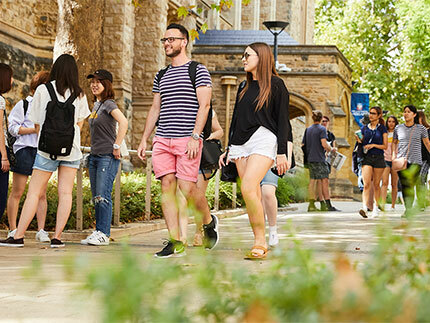 For applicants from China, the China Scholarship Council (CSC) and The University of Adelaide are jointly offering postgraduate research scholarships to students from People's Republic of China to understake a postgraduate research degree at the University of Adelaide. Prospective cadidates with strong academic background please contact me directly. Ng CT (2011). Probabilistic Methods for Structural Safety Evaluation, Damage Detection and Reliability Analysis of Structures. VDM Verlag Dr. Muller GmbH & Co. KG. ISBN: 978-3-639-36789-8. Ng CT, Au SK (2015). Special Issue on Structural Identification and Monitoring with Dynamic Data. Earthquakes and Structures An International Journal, 8(4) (Website: http://www.techno-press.org/?page=container&journal=eas&volume=8&num=4). Ng CT, Chan THT (2014). Special Issue on Structural Health Monitoring of Civil Structures. Structural Health Monitoring An International Journal, Vol. 13(4) (Website: http://shm.sagepub.com/content/13/4.toc). Ng CT (2015). On the Accuracy of Analytical Modelling of Lamb Wave Scattering at Delaminations in Multilayered Isotropic Plates. International Journal of Structural Stability and Dynamics, 15(7), pp. 1-12. Ng CT (2015). A Two-stage Approach for Quantitative Imaging of Laminar Damage in Plates Using Lamb Waves. Earthquakes and Structures An International Journal, 8(4), pp. 821-841. Ng CT (2014). On the Selection of Advanced Signal Processing Techniques for Guided Wave Damage Identification Using a Statistical Approach. Engineering Structures, 67, pp. 50-60. Ng CT (2014). Bayesian Model Updating Approach for Experimental Identification of Damage in Beams Using Guided Waves. Structural Health Monitoring An International Journal, 13(4), pp. 359-373. Ng CT (2014). Application of Bayesian Designed Artificial Neural Networks in Phase II Structural Health Monitoring Benchmark Studies. Australian Journal of Structural Engineering, 15(1), pp. 1-10. Ng CT (2013). 3D Finite Element Modelling of Absorbing Regions for Guided Wave Scattering Problems in Composite Materials. GSTF International Journal of Engineering Technology, 2(1), pp. 244-249. He S, Ng CT (2017). Guided Wave-based Identification of Multiple Cracks in Beam using a Bayesian approach. Mechanical Systems and Signal Processing, 84: 324-345. Soleimanpour R, Ng CT. (2017). Locating Delaminations in Laminated Composite Beams using Nonlinear Guided waves. Engineering Structures, 131: 207-219. Soleimanpour R, Ng CT, Wang, CH (2016). Higher Harmonic Generation of Guided Waves at Delaminations in Laminated Composite Beams. Structural Health Monitoring An International Journal. (in-print). Mohabuth M, Kotousov A, Ng CT (2016). Effect of Uniaxial Stress on the Propagation of Higher-order Lamb Wave Modes. International Journal of Nonlinear Mechanics, 86: 104-111. He S, Ng CT. (2016). A Probabilistic Approach for Quantitative Identification of Multiple Delamination in Laminated Composite Beams using Guided Waves. Engineering Structures, 127, pp. 602-614. Aryan P, Kotousov A, Ng CT, Cazzolato BS (2016). A Baseline-free and Non-contact Method for Detection and Imaging of Structural Damage Using 3D Laser Vibrometery. Structural Control and Health Monitoring (in-print). Aryan P, Kotousov A, Ng CT, Cazzolato BS (2016). A Mode-based Method for Damage Detection with Guided Waves. Structural Control and Health Monitoring. (in-print). Soleimanpour R, Ng CT (2016). Scattering Characteristics of the Fundamental Anti-symmetric Lamb Wave at Cracks in Isotropic Plates. Journal of Civil Structural Health Monitoring, 6(3), pp. 447-459. Aryan P. Kotousov A, Ng CT, Wildy S (2016). Reconstruction of Baseline Time-trace Under Changing Environmental and Operational Conditions. Smart Materials and Structures, 25(3), 035018, pp. 1-10. Hedayatrasa S, Abhary K, Uddin M, Ng CT (2016). Optimum Design of Phononic Crystal Perforated Plate Structures for Widest Bandgap of Fundamental Guided Wave Modes and Maximized in-plane Stiffness. Journal of the Mechanics and Physics of Solids, 89, pp. 31-58. Soleimanpour R, Ng CT (2015). Mode Conversion and Scattering Analysis of Guided Waves at Delaminations in Laminated Composite Beams. Structural Monitoring and Maintenance, 2(3), pp. 213-236. Xu J, Wu C, Li ZX, Ng CT (2015). Numerical Analysis of Shear Transfer Across an Initially Uncrack Reinforced Concrete Member. Engineering Structures, 102, pp. 296-309. Mohabuth M, Kotousov A, Ng CT (2015). Lamb Waves in Plates Subjected to Uniaxial Stresses. International Journal of Mechanical, Aerospace, Industrial, Mechatronic and Manufacturing Engineering, 9(7), pp. 1115-1120. Huang L, Sheikh AH, Ng CT, Griffith MC. (2015). An Efficient Finite Element Model for Buckling Analysis of Grid Stiffened Laminated Composite Plates. Composite Structures, 122, pp. 41-50. He S, Ng CT. (2015). Analysis of Mode Conversion and Scattering of Guided Waves at Cracks in Isotropic Beams Using a Time-domain Spectral Finite Element Method. Electronic Journal of Structural Engineering, 14(1), pp. 20-32. Aryan P, Kotousov A, Ng CT, Cazzolato BS (2015). Characterization of Lamb Waves and Damage Imaging at Corrosion Type Damage with 3D Laser Vibrometry. International Journal of Mechanical Engineering and Automation, 2(9), pp. 411-417. Aryan P, Kotousov A, Ng CT, Cazzolato BS (2015). Numerical Investigations on a New Method for Reconstruction of Baseline Signals for Damage Detection with Lamb Waves. International Journal of Mechanical Engineering and Automation, 2(10), pp. 460-466. Ng CT, Veidt M. (2013). Prediction and Measurement of Lamb Wave from Debondings at Structural Features in Composite Laminates. Key Engineering Materials, 558, pp. 139-148. Hitzmann M, Veidt M, Ng CT, Lindenberger B, Hou M, Truss R, Liew CK (2013). Single-plant Biocomposite from Ricinus Communis: Preparation, Properties and Environmental Performance. Journal of Polymers and the Environment, 21(2), pp.366-374. Ng CT, Veidt M, Rose LRF, Wang CH (2012). Analytical and Finite Element Prediction of Lamb Wave Scattering at Delaminations in Quasi-isotropic Composite Laminates. Journal of Sound and Vibration, 331(22), pp. 4870-4883. Ng CT, Veidt M (2012). Scattering Characteristics of Lamb Waves from Debondings at Structural Features in Composite Laminates. Journal of the Acoustical Society of America, 132(1), pp. 115-123. Ng CT, Veidt M (2011). Scattering of the Fundamental Anti-symmetric Lamb Wave at Delaminations in Composite Laminates. Journal of the Acoustical Society of America, 129(3), pp. 1288-1296. Veidt M, Ng CT (2011). Influence of Stacking Sequence on Scattering Characteristics of the Fundamental Anti-symmetric Lamb Wave at Through Holes in Composite Laminates. Journal of the Acoustical Society of America, 129(3), pp. 1280-1287. Ng CT, Veidt M (2011). Scattering Analysis of Fundamental Anti-symmetric Lamb Wave at Delaminations in Composite Laminates. Australian Journal of Mechanical Engineering, 8(2), pp. 197 – 205. Ng CT, Veidt M, Lam HF (2009). Guided Wave Damage Characterisation in Beams Utilising Probabilistic Optimisation. Engineering Structures, 31(12), pp. 2842-2850. Ng CT, Veidt M (2009). A Lamb-wave-based Technique for Damage Detection in Composite Laminates. Smart Materials and Structures, 18(7) 074006, pp.1-12. Lam HF, Ng CT (2008). The Selection of Pattern Features for Structural Damage Detection Using an Extended Bayesian ANN Algorithm. Engineering Structures, 30(10), pp. 2762-2770. Lam HF, Ng CT (2008). A Probabilistic Method for the Detection of Obstructed Cracks of Beam-type Structures Using Spatial Wavelet Transform. Probabilistic Engineering Mechanics 23(2-3), pp. 237-245. Lam HF, Ng CT, Leung AYT (2008). Multi-Crack Detection on Semi-Rigidly Connected Beams Utilizing Dynamic Data. Journal of Engineering Mechanics, ASCE 134(1), pp. 90-99. Au SK, Lam HF, Ng CT (2008). Closure to reliability Analysis of Single-Degree-of-Freedom Elastoplastic Systems. I: Critical Excitations. Journal of Engineering Mechanics, ASCE 134(10), pp. 924-925. Veidt M, Rohde AH, Ng CT, Hames S (2008). Imaging Laminar Damage Using Plate Wave Ultrasonics and Proposed Methodology for Designing Optimal Transducer Networks. Materials Forum, 33, pp. 293-301. Veidt M, Ng CT, Hames S, Wattinger T (2008). Imaging Laminar Damage in Plates Using Lamb Wave Beamforming. Advanced Materials Research, 47-50, pp. 666-669. Lam HF, Ng CT, Veidt M (2007). Experimental Characterization of Multiple Cracks in a Cantilever Beam Utilizing Transient Vibration Data Following Probabilistic Approach. Journal of Sound and Vibration 305(1-2), pp. 34-49. Au SK, Lam HF, Ng CT (2007). Reliability Analysis of SDOF Elasto-plastic Systems Part I: Critical Excitations. Journal of Engineering Mechanics, ASCE 133 (10), pp. 1072-1080. Au SK, Lam HF, Ng CT (2007). Reliability Analysis of SDOF Elasto-plastic Systems Part II: Suboptimal Excitations. Journal of Engineering Mechanics, ASCE 133 (10), pp. 1081-1085. Au SK, Ng CT, Sien HW, Chua HY (2005). Modal Identification of a Suspension Footbridge Using Free Vibration Signatures. International Journal of Applied Mathematics and Mechanics, 1(4), pp. 55-73. Ng CT, Lam HF (2005). Optimization Design of Tall Buildings under Multiple Design Criteria. International Journal of Applied Mathematics and Mechanics, 1(4), pp. 35-48. **Ng CT (2014). In-situ Quantitative Damage Imaging in Metallic Plates Using Lamb Wave Diffraction Tomography. Proceedings of the 5th Asia-Pacific Workshop on Structural Health Monitoring Conference, 4 – 5 December 2014, Shenzhen, China, pp. CD-ROM. Aryan P, Kotousov A, Ng CT, Cazzolato BS (2014). Lamb Wave Characterisation and Damage Imaging for Isotropic Plate-like Structures Using 3D Laser Vibrometry, Recent Advances in Structural Integrity Analysis: Proceedings of the International Congress (APCF/SIF-2014), 9-12 December, Sydney, Australia, pp. 585-589. Heitzmann M, Ng CT, Veidt M, Hou M, Paton R (2009). Natural Fibre Composite Made Solely from the Castor Plant for Aircraft Cabin Interior Materials. The 11th Pacific Polymer Conference (PPC11), 6-10 December 2009, Cairns, Australia. Lam HF, Ng CT, Katafygiotis L (2007). Identification of Crack Locations and Extents by Bayesian Model Class Selection. In proceedings of the World Forum on Smart Materials and Smart Structures Technology (SMSST 07), 22-27 May 2007, Chongqing & Nanjing, China, pp. CD-ROM. **Lam HF, Ng CT (2006). The Use of Bayesian Model Class Selection in Crack Detection of Beam Structures. In proceedings of the 10th Annual Conference of Hong Kong Society of Theoretical and Applied Mechanics (HKSTAM), 11th March 2006, Hong Kong, China, pp. 32. Dr. Ching-Tai Ng specialises in fundamental and applied research in structural health monitoring (SHM). His research interests include SHM, guided wave non-destructive evaluation, system identification, engineering reliability and risk analysis and composite materials. He is interested in applying SHM techniques to different engineering areas.